Chinese smartphone manufacturer Topwise Communication has just made its way into the Indian smartphone market by launching three new smartphones under its Comio brand. 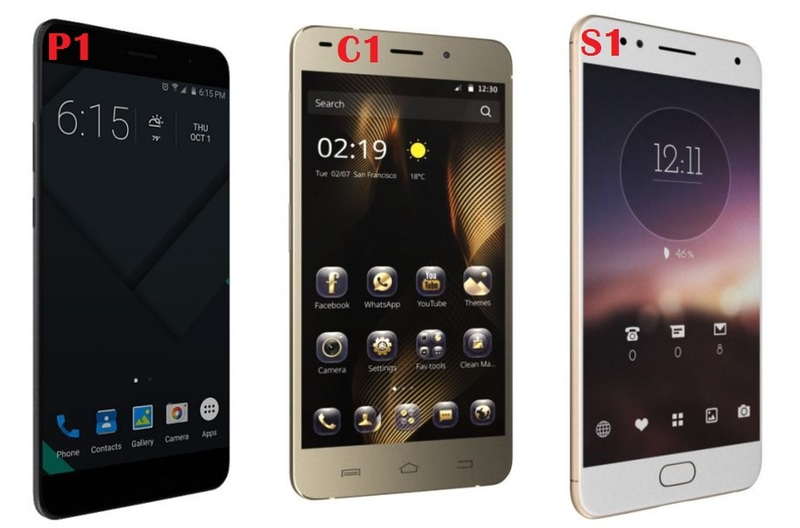 The Comio C1, Comio S1, and Comio P1, All these smartphones have been priced at Rs. 5,999, Rs. 8,999, and Rs. 9,999 respectively. All the three phones run on Android 7.0 Nougat and come with 4G VoLTE support. In terms of design and body, all three of them comes with sleek and good looking design made out of a full metal body. The Comio C1 comes in Mellow Gold and Space Black colour options, the Comio S1 comes in Royal Black and Sunrise Gold colours and the Comio P1 comes in Metal Grey and Sunrise Gold colour options. People buying any of theses smartphones will also be getting 5GB of additional data on recharge of Rs. 309 and above. Moreover, all three smartphones also come with a free one-time screen replacement warranty within six months of purchase, and one-year + 100 days extra manufacturer warranty. As one of the best and expensive one in all three the Comio P1 comes with a higher price tag of Rs. 9,999. The dual-SIM device sports a 5.2-inch HD (720×1280 pixels) display, and is powered by a 64-bit 1.3GHz quad-core processor coupled with 3GB of RAM. It comes with 32GB of internal storage which can also be expanded further using a microSD card (up to 128GB). It sports a 13-megapixel autofocus rear camera with LED flash and an 8-megapixel front facing selfie camera as well. As its biggest highlight, the P1 packs a 5000mAh battery that is rated to offer 24 hours talk time and 30-day standby time. Connectivity options include 4G VoLTE, WiFi 802.11 b/g/n, Bluetooth 4.1, and GPS. The Comio P1 sports a fingerprint scanner at the back. The Comio S1, priced at Rs. 8,999, it features the same 5.2-inch HD (720×1280 pixels) display and is powered by a 64-bit quad-core processor coupled with 2GB of RAM. It comes with 32GB of internal storage which can also be expanded further using a microSD slot (up to 128GB). There’s a home button on the front that houses the fingerprint sensor underneath, and it packs 2700mAh battery. Rest of the other specifications remain the same to the P1 smartphone. The Comio C1, priced the lowest at Rs. 5,999, has a 5-inch HD (720×1280 pixels) display, and is powered by the 64-bit 1.3GHz MediaTek quad-core processor coupled with 1GB of RAM. Talking about camera, it includes an 8-megapixel autofocus rear camera with LED flash support and a 5-megapixel selfie camera as well. All the other specifications remain the same to the S1 smartphone. The Comio C1 smartphone has no fingerprint scanning support and has capacitive navigation buttons on the front. The Comio smartphones will be available at all key retail stores in next coming week in North India and will be available from the third week of September in other parts of India.